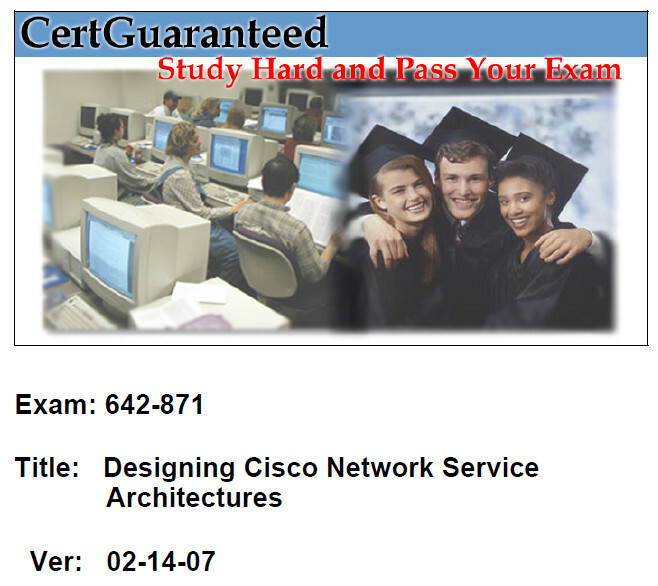 This is the Exam 642-871 with subject Designing Cisco Network Service Architectures. Download this exam sample to help your CCNA exam. The answer for each question already provided, include the explanation. You can download the file at the end of this post. How would you define a fault tolerant device? A. A backup path exists for every link between the client and the server. B. Key components can be hot-swapped. C. A backup device exists for every device between the client and the server. D. Devices in the network can be hot-swapped without interrupting the network operation. E. The device provides redundant backup within the device for each of its key components. Device fault tolerance and redundancy: This is often the first level of availability in the network. Fault-tolerant devices provide a high level of reliability. Cisco offers options for redundant supervisor engines and dual power supplies, which provide the first backstop against a network failure. Reference: Arch student guide p.1-13. Performance might be the least understood term in networking. Typically, performance is defined as throughput and packets per second (pps). These are easy numbers to gauge and report, but these values relate to a single switch or router and make no sense when measuring an entire network. Reference: Arch student guide p. 1-10.